Hanoi (VNA) – Runner Nguyen Thi Oanh won a gold medal in the women's 1,500m event for Vietnam at the ongoing SEA Games 29 in Kuala Lumpur, Malaysia, on late August 24. Oanh took the lead with a time of 04:20:51. Her teammate Vu Thi Ly came second with 04:30:68, earning the silver. 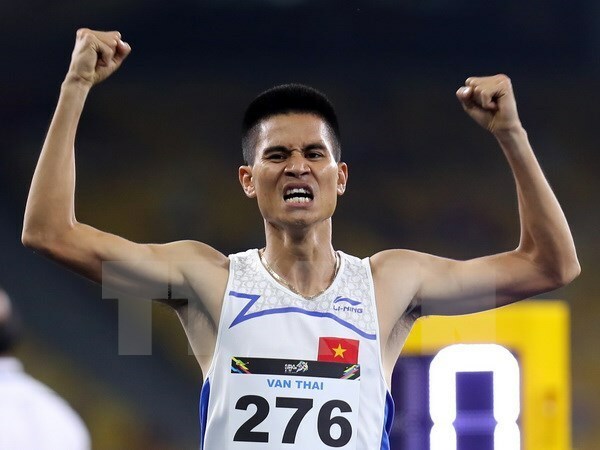 The same day, Duong Van Thai also grabbed a gold medal at 03:51:44 in the men’s 1,500m event. Vietnam’s karate artists, namely Nguyen Thi Hang, Le Thi Khanh Ly, Nguyen Thi Phuong brought home a gold in the team women’s event, while the men’s kumite team grabbed the fourth gold in the day for Vietnam.